Being a new mum is quite challenging for most, and feeding can be as equally challenging. We know breastfeeding is considered to be the best option for the health and wellbeing of your baby, and also for yourself. We also know that some mothers choose to bottle-feed their babies as they may be unable to breastfeed. 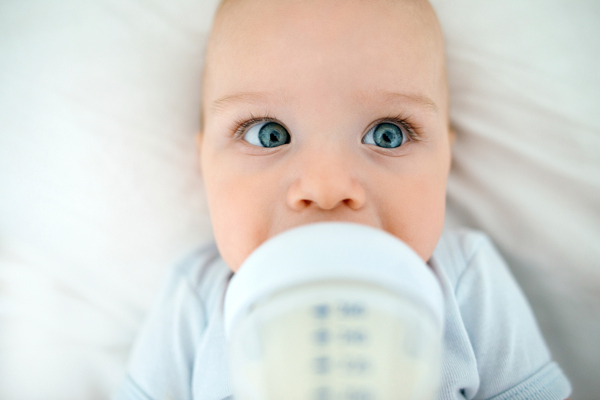 Whether you are breastfeeding or bottle-feeding your baby, here are a few tips to help get you started. Prepare yourself for breastfeeding by attending specialised breastfeeding classes and seek guidance from family or friends that you know have successfully breastfed. Breastfeeding classes may be available at your hospital, via your local Australian Breastfeeding Association branch or privately via Lactation Consultants. There are plenty of websites and books available of which you will find helpful, see below for recommended books and websites as Dr Google is your worst option to rely on for any medical or breastfeeding information. Almost all mothers will tell you that breastfeeding is extremely difficult to begin with and you will need support as you may not be able to figure it out on your own. Most mothers regret not seeking specialist support earlier and may leave it until it’s too late. It is normal for babies to breastfeed 8-10 times or more per 24 hours or demand breastfeeds 2-4 hourly, night and day. This is because tiny tummies and growing bodies need a lot of milk to meet their developmental needs. If you have had a breast reduction or breast augmentation, there is no reason why you can’t breastfeed and make breastmilk for your baby. Try not to introduce teats or dummies for the first 6 weeks as it may interfere with your breastmilk supply and the ability to establish breastfeeding. If you are unable to breastfeed, you will need to hire a hospital grade electric breast pump and express 8 or more times per 24 hours to maintain your breastmilk supply and feed your baby breastmilk via a bottle (see bottle-feeding for more information). The most common cause of breastfeeding difficulties such as painful latch is often caused by incorrect positioning and attachment or the presence of a tongue and/or upper lip tie. You will need to seek guidance and support from lactation consultants who are specialists in breastfeeding diagnostics who will provide you with a feeding management plan. You can find a Lactation Consultant either through your hospital or by private consultation in the comfort & privacy of your own home. Ask your Midwife or Maternal and Child Health Nurse about local breastfeeding supports – you will need to ask if the Lactation Consultant/s have current certification with the International Board of Lactation Consultants. A lot of mums feel guilty at not being able to breastfeed their babies, if you are wanting help to re-establish breastfeeding, refer to tips for breastfeeding mothers as above. Most mothers and babies can breastfeed, even if you haven’t breastfed for several weeks or months. We support adoptive mothers to breastfeed if they can do it, so can you! A lot of mums are combining breast & formula feeding or breastmilk & formula feeding. Some even choose to exclusively formula feed their babies. It is all about choosing feeding methods that work for you and your individual circumstances, and that’s OK! There is limited research as to the best bottles and teats to use. To find out more about Lactation Consultants and how to verify their current certification status visit the International Board Lactation Consultant Examiners Public Registry. Disclaimer: This information is not to be replaced instead of that as advised by your Doctor, Lactation Consultant or Speech Therapist. I am not endorsed or receive any financial interest in the particular companies of which I have recommended bottles/teats. Kellie Eason, Nurse, Midwife and International Board Lactation Consultant – Owner of Milk…early parenting support.